Just the one film to report on this week, but fortunately it was rather good. Steven Spielberg's Lincoln is one of the favourites at this year's Oscars, and from my point of view, that position is well deserved. Rather than presenting the life of Lincoln as a whole, Spielberg has decided to focus on the period at the beginning of his second term as President, during which the controversial thirteenth amendment, outlawing slavery, was made to the US Constitution. While it took me a while to tune in to these 19th century political shenanigans, I soon found myself gripped by the story, which demonstrated that sometimes it is necessary to engage in underhand means to achieve something which is fundamentally good. 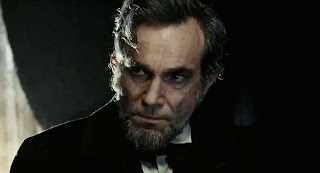 Two of the actors (in a generally strong cast) stand out for particular praise - Daniel Day Lewis gives a terrific performance as Abraham Lincoln, establishing a character who is strong, principled yet not overbearing, using his ability to tell stories to change the minds of his political opponents. Tommy Lee Jones was also wonderful as the angry, outspoken abolitionist Thaddeus Stevens, who realises that it will be necessary to compromise in order to achieve his goal. It's a fine picture and a welcome return to reform for Spielberg after last year's disappointingly saccharine War Horse. By the way, I'd recommend that any Coen brothers fans who haven't seen this trailer head over to Youtube and check it out. It's always a pleasure whenever John Goodman works with the Coens and after a few projects where the Coens have worked with adapted source material, it will be great to see something which is wholly original. 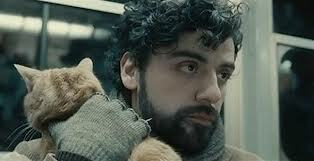 Inside Llewyn Davis is probably the film I'm most looking forward to this year. 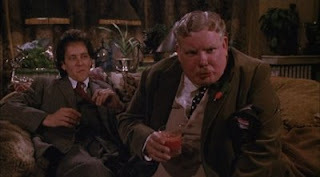 "Withnail: Monty used to act. Monty: Well, I'd hardly say that. It's true, I crept the boards in my youth. But I never really had it in my blood, and that's what's so essential, isn't it, theatrical zeal in the veins. Alas, I have little more than vintage wine and memories."